The Warhammer 40,000 setting should be familiar to most gamers. From the popular tabletop miniatures game to all manner of video games, including Space Marine, Kill Team, and the Dawn of War series, the grimdark future is everywhere. Today, we will take a look at a rare cooperative board game offering from Games Workshop, set in the 40K universe: Assassinorum Execution Force. Games Workshop is one of the most successful miniatures game companies in the world. Their best known properties are Warhammer Fantasy Battles (recently reborn as Age of Sigmar) and Warhammer 40,000. Both of these game systems feature head to head battles using dozens if not hundreds of detailed miniatures representing the forces of various factions. From time to time, Games Workshop releases self-contained games, where all you need to play is in one box. Recent examples are Dreadfleet and Space Hulk. 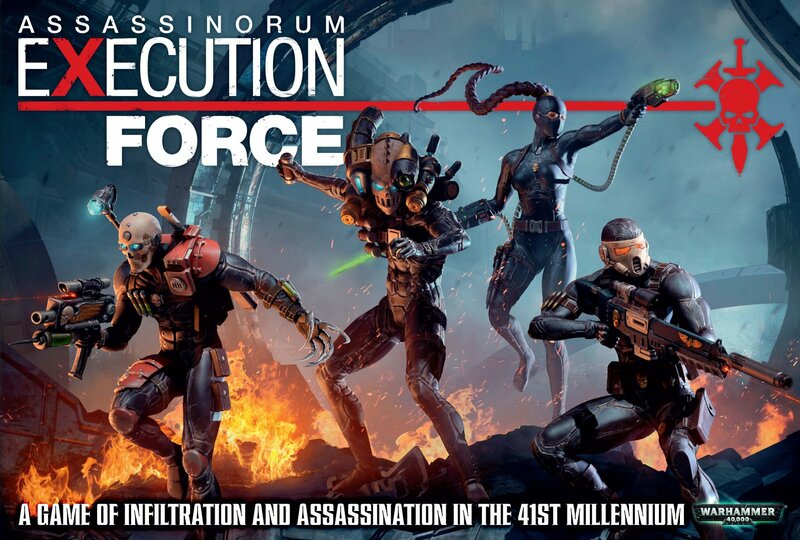 Assassinorum Execution Force (AEF), released earlier this year, is the latest of these standalone offerings. AEF puts players in the role of, unsurprisingly, one of four different Imperial Assassins. Their mission is to stop the Chaos Lord Drask from completing an unholy ritual and destroying all of civilization. 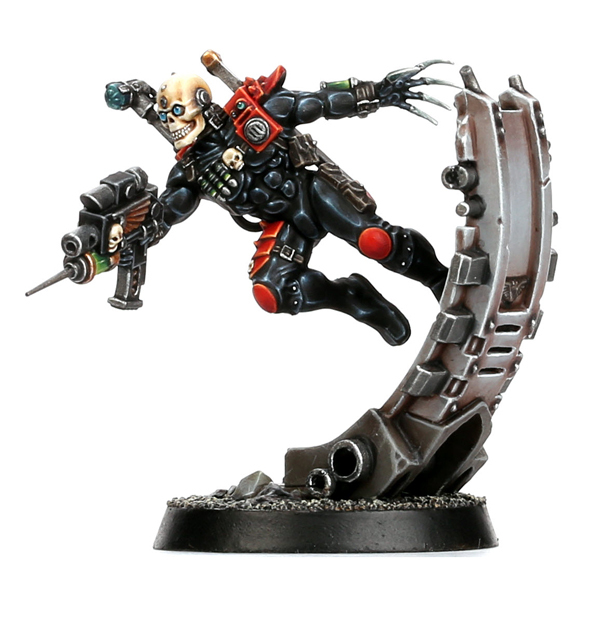 To do this, the assassins must infiltrate a Chaos Marine base, evade or nullify the patrols, and find the teleporter that will take them to the Chaos Lord, where they can finish him and his plan once and for all. But they have to be quick, as if sixteen turns pass, the ritual is performed and humanity is doomed! The four assassins are incredibly cool; they all have crazy weapons and ridiculous abilities. They are all adept at killing, which makes sense, given they are assassins from the future and all, but each have unique methods for getting the job done. You have the Vindicare Assassin, with a sniper rifle and a stealth suit, which functions far differently than the Callidus Assassin, who moves quickly and can even alter her appearance to avoid being detected. Differing player abilities is one of my favorite thematic mechanics, and AEF provides it in spades. As the game begins, the primary goal for the assassin squad is to find two special rooms in the Chaos base: the teleportarium and the control panel. Once an assassin enters a new room, a room tile is drawn and resolved. If it’s one of the target rooms, great! But odds are it’s full of Chaos cultists or troopers who are not happy to see you. If you can manage to work together and find the teleportarium and control panel in time, all four assassins are warped to Chaos Lord Drask’s location for the final confrontation.